Own a Vehicle and Need Cash? Find out how much you can get! 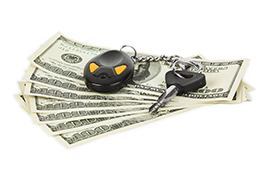 If you own a vehicle "free and clear", a title loan is a great option to get some cash. Works like pawning, but you will work with lenders to choose interest rates and low monthly installments, and you can keep driving your car. You get to keep your car and you get the cash! You can bring your credit score back up and begin enjoying the benefits of an improved credit history. Remember...It costs a lot more to live with your poor credit history then it does to utilize the expertise of a reputable credit repair service.